We’re always on the hunt for affordable and tasty food around different places, so we’ve decided to take a look around the Rochor area. We found a variety of different dishes, including desserts, so we’re sharing our findings with you. The list isn’t exhaustive, so if you know any, don’t hesitate to share. Here are 10 food items you can get near Rochor MRT that will only cost you S$11 and under. They’re definitely tasty, and won’t burn a hole in your wallet. Salted Egg Yolk Pork Ribs is a staple dish that you can find at most zi char stalls. The number of places serving up salted egg yolk pork rib in Singapore is never ending. Taste Good (好味), located on the second level of Sim Lim Square, serves up a yummy bowl for only S$5. 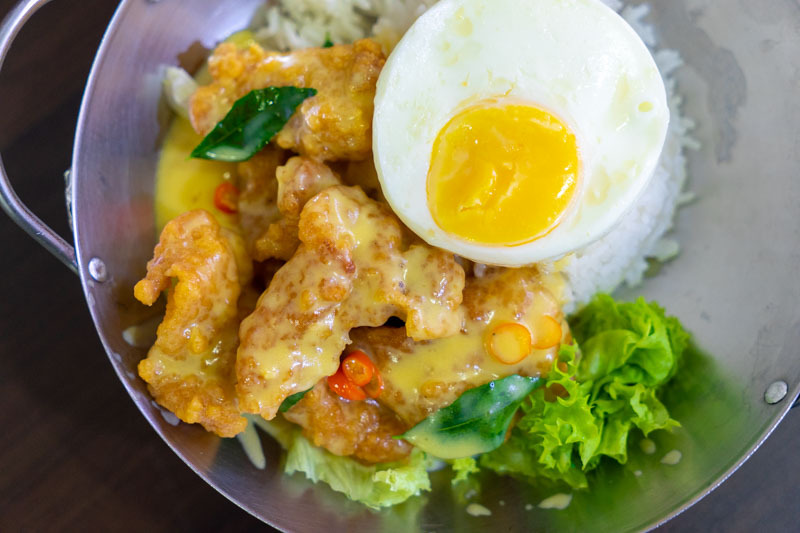 You can always choose to add a fried egg for S$0.50, but even on its own, this bowl hits all the right salty, sweet and spicy notes. It’s so affordable that you can even get two bowls without feeling like you’re overspending. Nothing beats hor fun when it comes to good zi char dishes. If you’re around the Rochor area, you can head over to Win Seong Fatty’s Restaurant for your zi char fix. 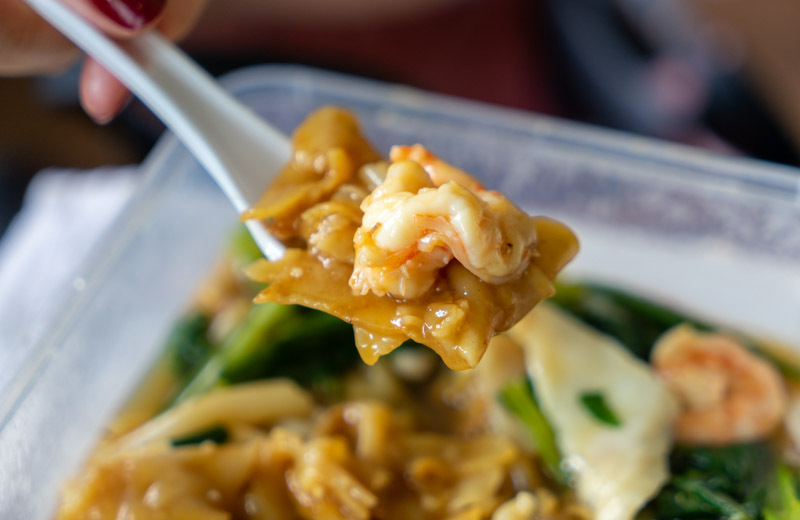 Fatty’s Seafood Hor Fun (S$5.50) is affordable, and comes with generous portions of seafood and vegetables. Upon opening this packet of hor fun, a pronounced aroma of wok hei wafted out. This dish is definitely worth the price! 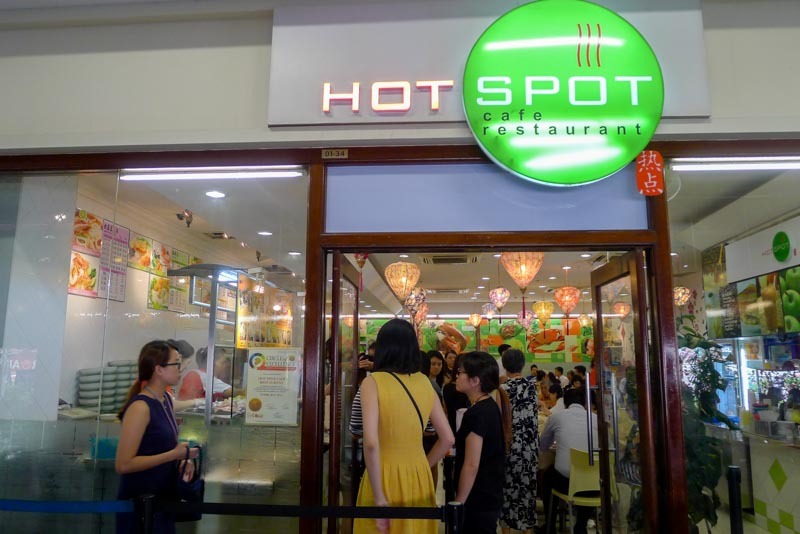 Known to many LASALLE students, Hot Spot Cafe Restaurant is where they often head to for a quick meal. Just across the street from LASALLE College of Arts, you’ll find this eatery at the corner of Burlington Square Building. 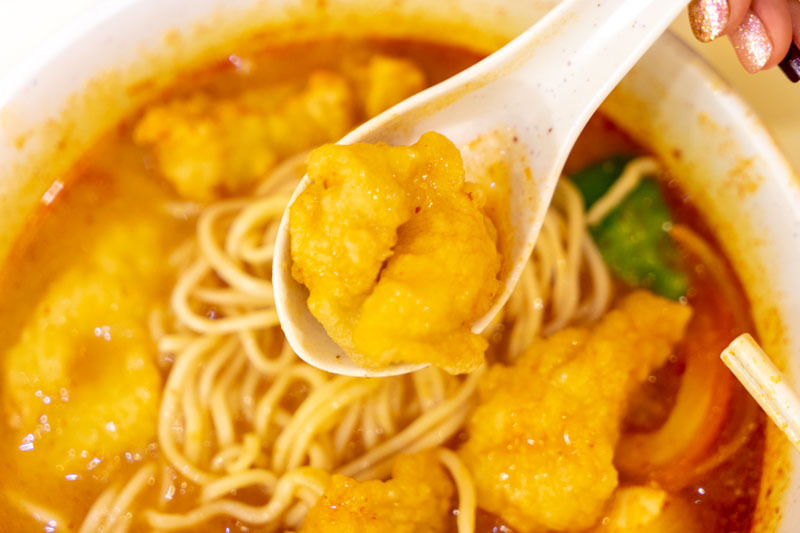 We decided to try their Tom Yam Fried Fish U-Mian (S$5.90) to see if it lives up to the hype. The delicious tom yum based broth comes with handmade noodles and a generous amount of fried fish. The soup had a good balance of sour and spicy notes, and it definitely left me slurping up every last bit of the soup. You can opt for other forms of noodles, but we recommend enjoying it with U-Mian. Yet another food gem you can find in Hot Spot Cafe Restaurant is their Seafood White Bee Hoon (S$5.50). We got it as takeaway, due to the crowd from the school and offices nearby! It wasn’t disappointing, even after only managing to try it about 30 minutes later. The gravy might be slightly thicker after sitting there for a while, but the bee hoon still retained its springy texture. Not to mention, for that price, the portion was enough to feed two of us. 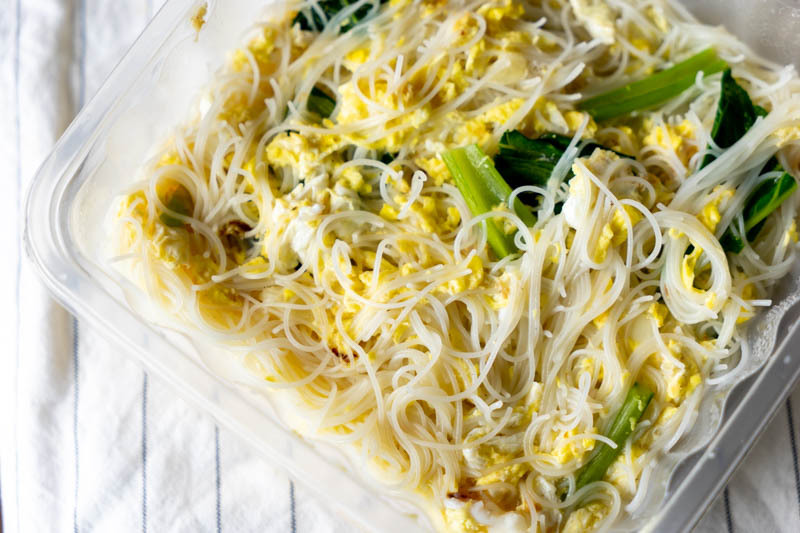 We absolutely loved the egg-y flavour of this dish. Definitely worth the hassle! Thai boat noodles are yummy, and I’m glad that they’re on this list of food under S$11. 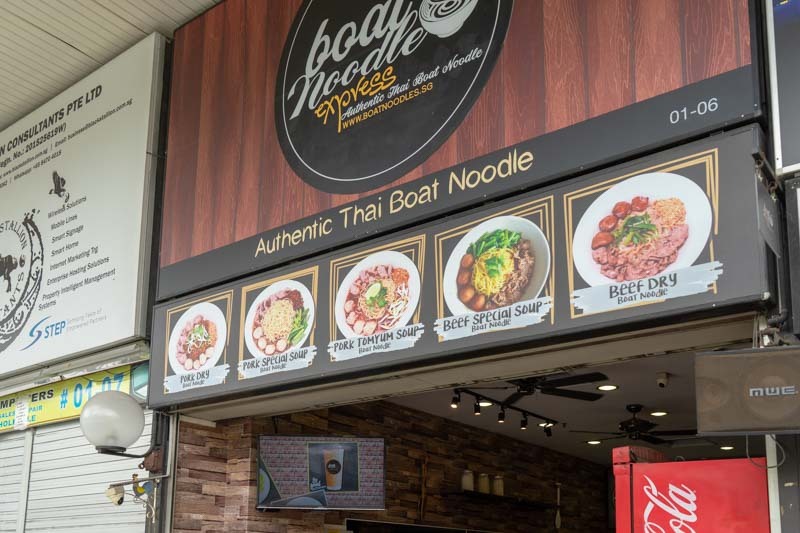 Located outside Sim Lim Square, you can gather your friends and enjoy some authentic boat noodles at Boat Noodle Express. The Beef Tomyam Boat Noodles (S$10.90/set) is one dish you should go for when you’re there. 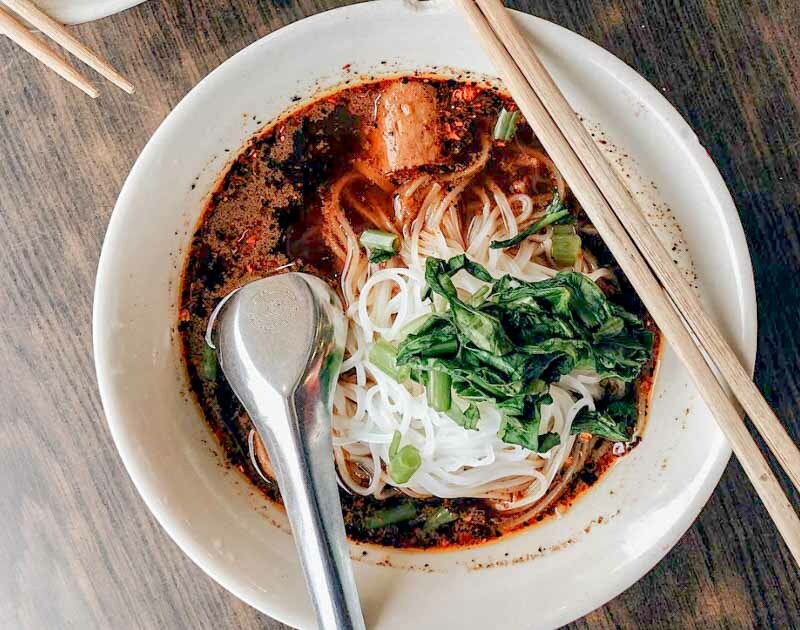 You’ll definitely enjoy slurping down these tangy, rich and spicy bowls of boat noodles. 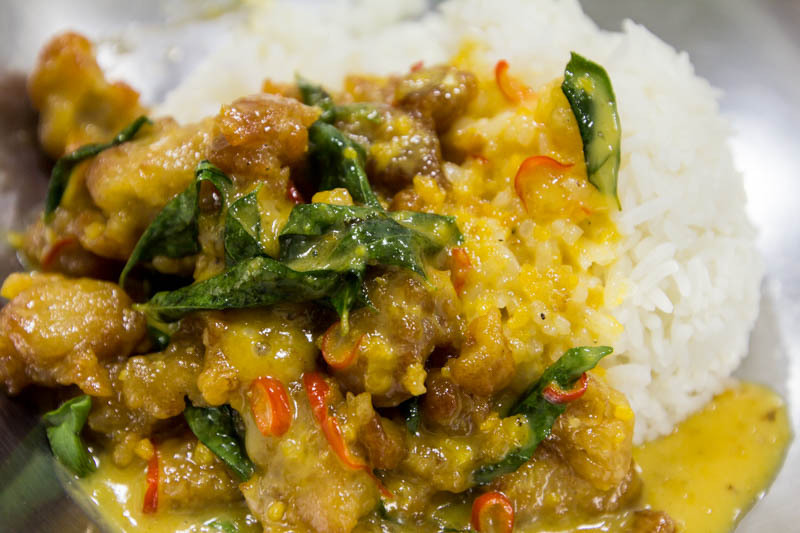 Many people go for salted egg pork rib dishes but here’s one you might not know about. Aside from their salted egg pork rib dish, Taste Good 好味 also serves a pretty good Butter Fish Rice With Egg (S$5.50). Tender and soft, the fried fish was doused in sweet and savoury butter sauce. It’s so good you simply cannot miss it! Located about 10 minutes away from Rochor MRT, Fortune Centre is home to numerous eateries, and also Japanese Curry Express. Well-known for their curry dons, Japanese Curry Express also serves up this mean bowl of Salmon Mentai Don (S$11). 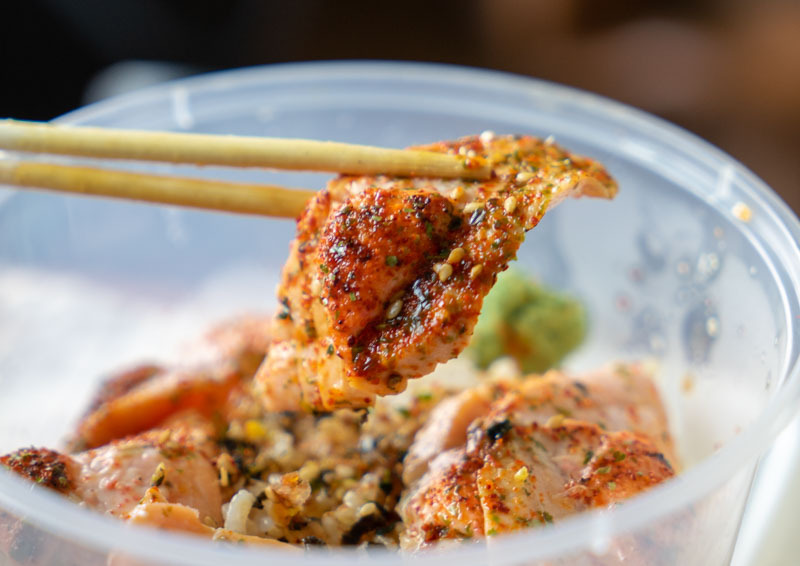 The yummy slices of seared salmon over fragrant Japanese rice was enough to get me sold on it. I honestly can’t find many places that serve a decent salmon mentai don for just S$11, so this is definitely the dish you should go for when you’re craving mentaiko. 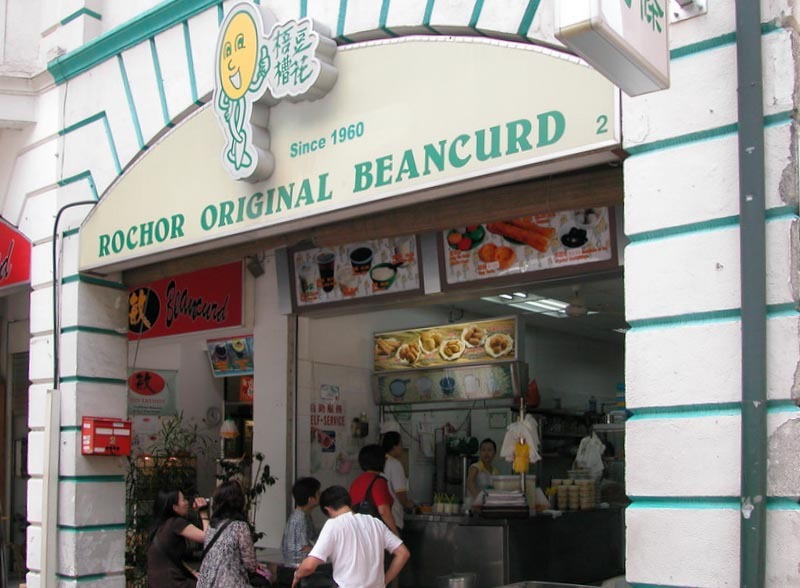 When it comes to affordable food in Rochor, it’s no surprise that Rochor Original Beancurd falls within the category. For just S$1.20, you can get a bowl of warm or cold beancurd. If you’re up for some fried dough snacks, they start at the price of S$1 too. Silky smooth beancurd paired with yummy dough fritters, why not? 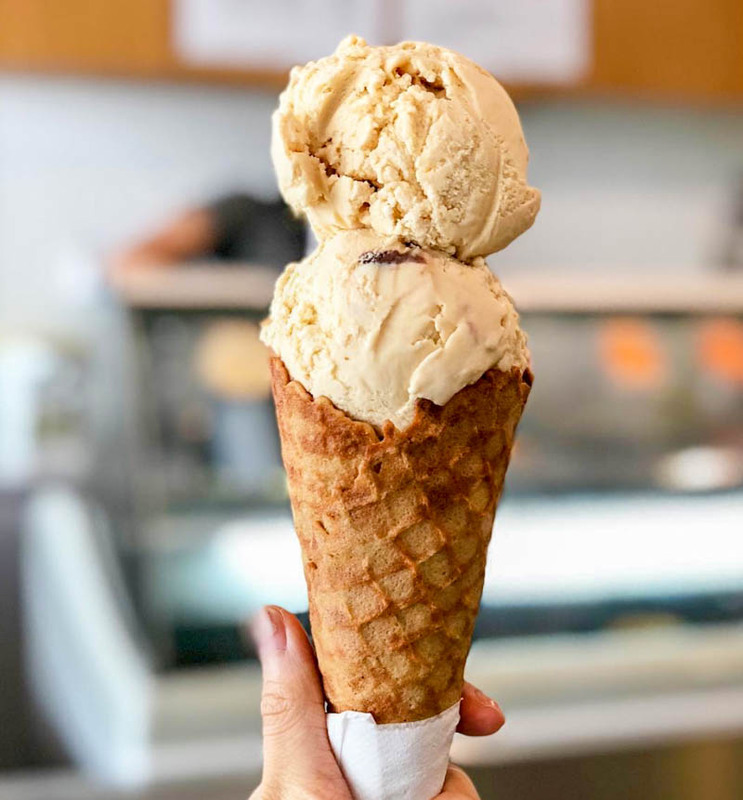 Finally, a yummy dessert shop that serves good and affordable ice cream! 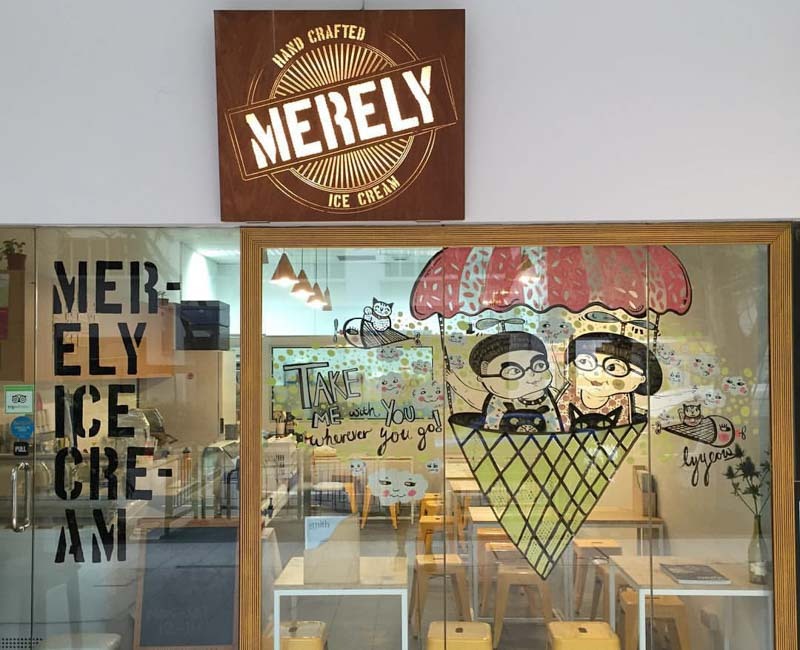 Merely Ice Cream is located at Sunshine Plaza, and they serve delectable flavours of ice cream with a choice of wafer cones and waffles too. You can get a scoop for as low as S$3.80, so adding waffles or a cone won’t break the bank. Treat yourself with a double scoop of Earl Grey after walking under the hot sun. Trust me, the 10-minute walk is worth it. A unique pastry that promises to have you wanting more, the Beancurd Tart (S$10/box of 8) from Le Cafe Confectionery and Pastry is one you cannot miss. The pastry was rich and buttery, while within it was a light and sweet beancurd filling. Every bite is pure happiness! 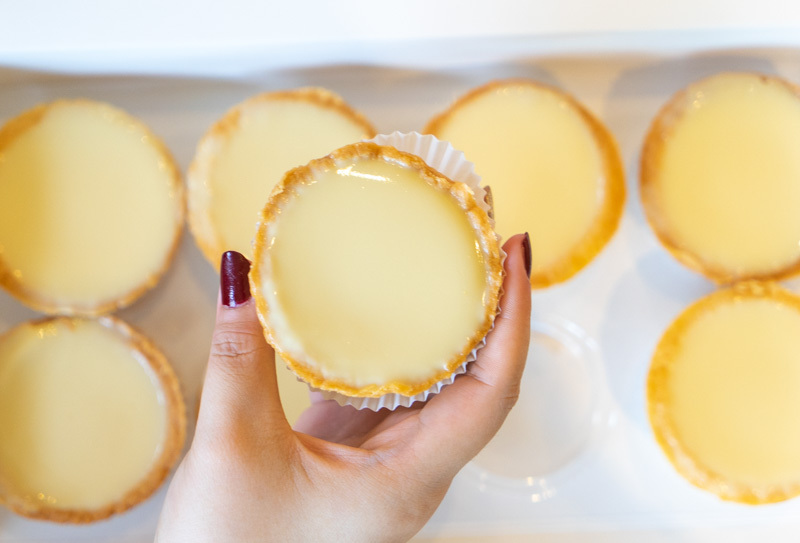 Make sure you order at least one day in advance to avoid disappointment, because these beancurd tarts are available at 1pm and they sell out fast!